Highly blood-perfused islets have been observed to be the most functional islets in the native pancreas. We hypothesised that differences in vascular support of islets in donor pancreases influence their susceptibility to cellular stress and capacity for vascular engraftment after transplantation. Highly blood-perfused islets in rats were identified by injection of microspheres into the ascending aorta before islet isolation. Cell death was evaluated after in vitro cytokine or hypoxia exposure, and 2 days post transplantation. One month post transplantation, islet engraftment, including vascular density, blood perfusion and oxygen tension (pO2) in the tissue, was evaluated. Microsphere-containing islets had a similar frequency of cell death during standard culture conditions but increased cell death after exposure to cytokines and hypoxia in comparison with other islets. Two days after transplantation the percentage of apoptotic or necrotic cells was also higher in grafts of such islets and 1 month post transplantation these grafts were composed of substantially more connective tissue. Grafts of highly blood-perfused islets in the native pancreas regained a higher vascular density, blood perfusion and pO2 in comparison with grafts of other islets. Native islets that are highly blood-perfused regained this feature after transplantation, indicating a superior capacity for revascularisation and post-transplant function. However, the same group of islets was more vulnerable to different kinds of cellular stress, which limited their early survival post transplantation. Preferential death of these most active islets may contribute to the high number of islets needed to provide cure with islet transplantation. Islet transplantation provides a possibility to restore normoglycaemia in patients with type 1 diabetes. However, the long-term results have been hampered by substantial early cell death due to hypoxic  and inflammatory events , and later to insufficient engraftment [3, 4], gluco-/lipotoxicity , islet amyloid formation [6, 7] and immunological events . The exaggerated cell death occurring in the islet grafts necessitates transplantation of large numbers of islets to restore and maintain normoglycaemia in the recipients, which is largely problematic when considering the worldwide lack of organs for transplantation. One aspect previously not considered in the outcome of islet transplantation is the heterogeneous nature of the pancreatic islets. Heterogeneities ranging from subpopulations of differently metabolically active beta cells to islet and pancreatic regional heterogeneities have been described [9, 10, 11, 12, 13, 14]. Beta cells are also heterogeneous in their capabilities for production of the vasoactive factor serotonin during pregnancy . We have previously observed that differences in islet vascular support provide a hallmark that reflects islet functionality. A low-oxygenated proportion of islets were found to be a resting or dormant population, which at increased metabolic demands could be activated and manifested as an increase in oxygen support . Islets that in the native pancreas are highly blood-perfused were on the other hand observed to be the most functionally active, with higher glucose-stimulated insulin release, higher beta cell proliferation and a different gene expression in comparison with size-matched control islets . The present study tested the hypothesis that differences in vascular support, and thereby functional activity, between islets in the native pancreas influence their fate of survival and capacity to engraft after transplantation. Adult male inbred Lewis rats, purchased from Charles River Laboratories (Sulzfeld, Germany), were used. The animals were kept in a specific non-pathogen environment and had free access to water and pelleted food throughout the course of the experiment. ‘Principles of laboratory animal care’ (National Institutes of Health, Bethesda, MD, USA; publication no. 85–23, revised 1985; http://grants1.nih.gov/grants/olaw/references/phspol.htm, accessed 1 January 2012) were followed, as well as specific national laws where applicable. All experimental procedures were approved by the Animals Ethics Committee of Uppsala University. The rats were anaesthetised by an i.p. injection of 120 mg/kg body weight thiobutabarbital sodium (Inactin; Sigma-Aldrich, St Louis, MO, USA) and placed on a thermostat-controlled heating plate to maintain a core body temperature of 38°C. The trachea was detached from surrounding tissues and a polyethylene catheter was inserted to secure free airways during the experiment. Polyethylene catheters were also inserted into the ascending aorta through the right carotid artery for blood pressure measurement and subsequent microsphere injection, and into the femoral artery for reference blood sample collection. After the surgical procedure, the blood pressure was allowed to stabilise for 10–15 min; 1 ml of 30% (wt/vol.) d-glucose was then injected into the femoral vein 10 min before fluorescent microsphere injection (10 μm, FluoSpheres Polystyrene Microspheres; Molecular Probes, Eugene, OR, USA) [16, 17]. A reference blood sample was collected during 1 min, starting 5 s before the microsphere injection, in order to determine the blood flow each microsphere represented. The pancreas was removed for islet isolation and the adrenal glands were examined to evaluate adequate mixing of microspheres in the systemic circulation. Only in animals with equal amounts of microspheres in the adrenal glands (<10% difference), indicating a successful mix of microspheres with the arterial blood, was the pancreas processed for islet isolation. Islets were isolated by collagenase digestion, as described previously , and thereafter hand-picked. Islets were cultured free-floating and dispersed in 50 mm Petri dishes (100 islets per dish; Sterilin, Newport, UK) in RPMI 1640 medium supplemented with l-glutamine (Sigma-Aldrich), benzylpenicillin (100 U/ml; Roche Diagnostics Scandinavia, Bromma, Sweden), streptomycin (0.1 mg/ml; Sigma-Aldrich) and 10% (vol./vol.) FCS (Sigma-Aldrich) for 3 days. Using a fluorescence microscope the islets were then sorted dichotomously into two groups, with or without microspheres. Each experiment was if possible performed on islets from one rat. However, pooling of islets from more than one rat was often necessary, and then each rat contributed with the same percentage of microsphere- and non-microsphere-containing islets. In each experiment 100 microsphere-containing or non-microsphere-containing islets were assigned to each of two groups. This resulted in a total of 200 analysed islets per experiment. The microsphere-containing islets were in each experiment matched by size (median diameter) and number with non-microsphere-containing islets from the same rat. Visible islet aggregations were excluded. The islets were incubated in 20% or 1.5% O2 in a humidified airtight chamber for 4 h at 37°C. In separate experiments, the islets were incubated with or without cytokines (50 U/ml IL-1β, 1,000 U/ml IFN-γ, 1,000 U/ml TNF-α; PeproTech, London, UK) for 24 h. In the former experiments, gas mixtures were produced by a certified manufacturer (Air Liquid Gas, Stockholm, Sweden), and the oxygen levels were continuously monitored with an oxygen sensor (Dräger Pac III; Dräger, Lübeck, Germany) in order to maintain correct oxygen tension (pO2) exposure during the experiments. Viability of the islets was evaluated by staining with propidium iodide (PI) (10 μg/ml; Sigma-Aldrich) and bisbenzimide (20 μg/ml, Hoechst 33342; Sigma-Aldrich). Fluorescence was analysed in a Kodak Image Station 4000 MM (Kodak, New Haven, CT, USA). The ratio of PI to bisbenzimide was taken as a relative measure of islet viability. The rats were anaesthetised by an i.p. injection of 60 mg/kg body weight of pentobarbital sodium (Apoteket, Umeå, Sweden) and placed on a thermostat-controlled heating plate to maintain a core body temperature of 38°C. One hundred microsphere- and 100 non-microsphere-containing islets were transplanted separately at a distance 10–15 mm apart beneath the left renal capsule. Two days or 1 month post transplantation the graft-bearing kidneys were removed. Two hours before removal of the 2-day-old grafts the hypoxia marker pimonidazole hydrochloride (60 mg/kg body weight, Hypoxyprobe-1; HPI, Burlington, MA, USA) was intravenously injected. The grafts were fixed in 10% (vol./vol.) buffered formalin, dehydrated and embedded in paraffin. Embedded tissues were consecutively sectioned (5 μm thick) and mounted on Polysine slides (Thermo Scientific, Braunschweig, Germany). Sections from the islet grafts were deparaffinised with xylene and rehydrated in a series of graded ethanol (100% to 70%) followed by distilled water, or deparaffinised by Rodent Decloaker (Biocare Medical, Concord, CA, USA) in a pressure cooker (2100 Retriever; Prestige Medical, Blackburn, UK). Islet grafts retrieved 2 days post transplantation were stained for apoptosis and hypoxia markers, whereas islet grafts retrieved 1 month post transplantation were stained for insulin and endothelial cells. Pretreatment for hypoxia staining was performed with Pronase (0.01%; Roche Diagnostics, Mannheim, Germany), for apoptosis staining modified citrate buffer (pH 6.1; Target Retrieval Solution, Dako, Glostrup, Denmark), and for endothelial staining a heat-induction and neuraminidase solution (0.1 U/ml, Neuroamidase Type V; Sigma-Aldrich) was used , followed by peroxidase blocking in 3% hydrogen peroxidase (hydrogen peroxide 30%; Merck, Darmstadt, Germany) and protein blocking (TNB solution, TSA Biotin System Kit [Perkin Elmer, Waltham, MA, USA] or Background Sniper [Biocare Medical]). Apoptosis was detected by a cleaved caspase-3 antibody (1:100; Cell Signaling Technology, Danvers, MA, USA). The signal was amplified by a TSA Biotin System Kit (Perkin Elmer) according to the manufacturer’s protocol and detected by 3,3′-diaminobenzidine (Sigma-Aldrich). Rat pancreases were used as controls in order to exclude non-specific antibody binding. Hypoxyprobe-1 MAb1 (1:25; HPI) was used for hypoxia/pimonidazole hydrochloride staining, and biotinylated lectin from Bandeirea simplicifolia agglutinin-1 (1:100; Sigma-Aldrich) for staining of endothelial cells, followed by incubation with TrekAvidin-AP Label (Biocare Medical) and detection by Vulcan Fast Red (Biocare Medical). Insulin antibody (1:3,000, polyclonal anti-guinea pig insulin; Fitzgerald, Acton, MA, USA) was detected by MACH 3 Rabbit HRP-Polymer Detection (Biocare Medical) and visualised by 3,3′-diaminobenzidine. All sections were counterstained with haematoxylin before mounting. Scanning and analysis were performed using a laser microdissection microscope (Leica LMD6000, Leica Microsystems, Wetzlar, Germany) or after digital image acquisition by Image J (National Institutes of Health). Necrotic graft area with structural disintegration of cells (pyknotic nuclei, cellular debris) was assessed by morphological evaluation, where on average a total graft area of 0.65 ± 0.1 mm2 per animal was evaluated in the analysis. Apoptosis rate was defined as the percentage of cells positively stained for cleaved caspase-3, where on average 2,841 ± 258 islet cells per group of islets and animal were evaluated. Hypoxic area was defined as the area positively stained for the hypoxia marker pimonidazole per total endocrine tissue area, where an endocrine area of 0.63 ± 0.1 mm2 per animal was evaluated. Vascular density was defined as the area of stained endothelial cells per insulin-positive area. The total insulin-positive area analysed per animal was 0.54 ± 0.06 mm2. Connective tissue area was evaluated by morphometry and defined as non-endocrine tissue per total graft area, where 1.42 ± 0.1 mm2 total graft area per animal was evaluated. The animals were anaesthetised and surgically prepared according to a protocol similar to that used for microsphere administration. Additional procedures included the insertion of a femoral vein catheter for substitution of body fluid loss with Ringer’s solution (Apoteket), and exposure of the graft-bearing kidney by a left subcostal flank incision. The kidney was thereafter placed in a plastic cup and embedded in surgical cotton pads soaked in saline (154 mmol/l NaCl) in order to stabilise and maintain humidity and temperature of the organ. The blood flow and pO2 in the islet grafts and adjacent renal parenchyma were then recorded by laser Doppler flowmetry and Clark microelectrodes, respectively . Multiple (three or more) measurements of blood flow by laser Doppler flowmetry (Transonic BLF21 Series, probe 1.2 mm; Transonic, Ithaca, NY, USA) were performed in each of the two grafts and in the kidney cortex. Similarly, the pO2 in each of the islet grafts and adjacent kidney was investigated by repeated measurements (three or more in each of the locations) by Clark microelectrodes (outer tip diameter <5 μm; Unisense, Aarhus, Denmark). The mean of blood flow or pO2 values in each location and animal was then calculated and considered to be one experiment. Since it is difficult to calibrate the laser Doppler flowmetry instrument in physical units of blood flow, all blood flow values are given as arbitrary tissue perfusion units. All values are given as means ± SEM. Differences between two groups of parametric data were analysed by unpaired or paired two-tailed Student’s t test, whereas for multiple comparisons of parametric data a two-way ANOVA with Bonferroni’s or Dunnett’s (comparisons only to control) post hoc test was applied; p values <0.05 were considered statistically significant. The animals allocated to intra-aortic microsphere administration all had a mean arterial blood pressure of 100–125 mmHg (n = 57). These animals received 1 ml 30% (wt/vol.) 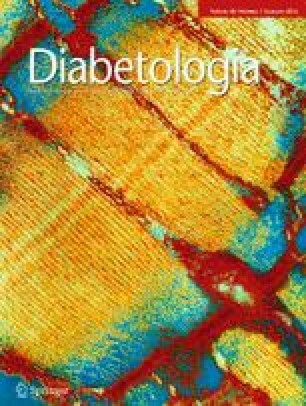 d-glucose and had a plasma glucose concentration of 10.4 ± 0.3 mmol/l at the time of microsphere administration 10 min later. Islet isolation resulted in an average of 500 isolated islets per rat, where 13.9 ± 0.8% of the islets contained one or more microspheres (Fig. 1). Each microsphere was calculated to correspond on average to 0.52 ± 0.04 μl/min blood. No difference in cell death could be seen between islets with or without microspheres during standard culture conditions (control; Fig. 2). However, exposure to hypoxic conditions (1.5% O2) augmented the cell death by approximately 40% in islets with microspheres in comparison with non-microsphere-containing islets under similar conditions (Fig. 2a). Similarly, after exposure to cytokines the cellular death was ∼50% higher in islets with microspheres (Fig. 2a). The cellular death in the hypoxia- and cytokine-exposed microsphere-containing islets was increased to the same extent in the immediate vicinity (within a radius of 50 μm) of the microspheres (109 ± 19% and 100 ± 11%, respectively, of that in the whole islets; n = 6 experiments), as in other parts of the islets. The grafts were severely hypoxic 2 days after transplantation, where on average 61 ± 3% of the grafts of islets with or without microspheres were positively stained for the hypoxia marker pimonidazole (Fig. 3a). Necrotic areas, with pyknotic nuclei or cellular debris, were regularly observed surrounded by viable hypoxic tissue (Fig. 3a). The relative area of the endocrine grafts composed of such necrotic areas was doubled in the grafts of islets with microspheres in comparison with grafts of islets without microspheres 2 days after transplantation (Fig. 3b–d). Moreover, the number of endocrine cells undergoing apoptosis was also higher in grafts of islets with microspheres (Fig. 3e–g). One month post transplantation, the grafts of islets with microspheres contained ∼30% more connective tissue than the grafts of islets without microspheres (Fig. 3h–j). The mean vascular density in the insulin-positive area of the islets was more than 50% higher in grafts of islets with microspheres than in grafts of non-microsphere-containing islets (Fig. 4a–c). The higher vascular density seemed to reflect functional blood vessels, since this was paralleled by a ∼50% higher blood flow in grafts of microsphere-containing islets compared with grafts of islets without microspheres (Fig. 5a). Moreover, the pO2 in the transplanted microsphere-containing islets was substantially higher than that in the corresponding non-microsphere-containing islets (Fig. 5b). All animals in which blood flow and pO2 measurements were investigated had a mean arterial blood pressure between 80 and 125 mmHg. The present study shows that the previously described pool of highly functional, highly blood-perfused islets in the native pancreas  has a higher susceptibility to cellular stress with resulting death. This bears potential implications for the development of islet disease and holds relevance for islet transplantation outcome. Indeed, the same islets that show propensity for cellular death, if they survive, become better engrafted. The subpopulation of highly blood-perfused islets in the native pancreas was, as previously described , identified by its microsphere content after intra-aortic microsphere administration following a glucose challenge. In the present study, ∼14% of the isolated islets were found to contain microspheres, which, based on the reference blood sample analysis, indicated an average blood perfusion of ≥0.52 ± 0.04 μl/min. The microsphere content per se does not seem to elicit harmful effects on the islets, since these islets are characterised by better glucose-stimulated insulin release indices and higher beta cell proliferation than other islets . In line with this, we did not in the present study observe any difference in cellular death between the microsphere-containing and non-microsphere-containing islets during standard culture conditions. However, when challenged by cytokines in vitro, the microsphere-containing islets showed a higher propensity for cellular death. The tested cytokines, IL-1β, IFN-γ and TNF-α, have all been shown to play an important role in beta cell death in the development of type 1 diabetes and early after islet transplantation [21, 22, 23, 24, 25, 26]. The microsphere-containing islets also showed a higher susceptibility to cellular death in response to hypoxia, which is a major limiting factor of islet survival early post transplantation [1, 27]. Although it cannot be fully excluded that the microsphere presence made the tissue more sensitive to hypoxic or cytokine-induced death, it is worthy of note that the cellular death was increased to the same extent in the other parts of the islets as in the immediate vicinity of the microspheres. Early after transplantation up to 60% of the islet tissue will undergo necrosis and apoptosis due to hypoxia and inflammatory reactions [28, 29, 30, 31]. By transplantation of islet grafts of similar size, but composed of either microsphere- or non-microsphere-containing islets, we tested whether our mechanistic in vitro studies were applicable to the in vivo setting. Indeed, higher cellular death by apoptosis and necrosis was observed in the grafts of microsphere-containing islets, which was followed by extensive fibrosis of these grafts. These results are consistent with studies in other research fields, where it has been shown that tissues and cells with a high metabolic rate are more susceptible to cellular stress and death [32, 33]. It is of note that the surviving microsphere-containing islets were much better revascularised than the non-microsphere-containing islets. This is likely explained by an inherent difference in gene expression. We have previously observed that these two types of islets markedly differ in their gene expression, which includes higher expression of vascular endothelial growth factor A in the microsphere-containing islets . Indeed, this growth factor has in a number of studies been shown to be the key mechanism for the development and maintenance of a high islet vascular density [34, 35, 36], and it has also been observed to be of central importance for the revascularisation process post transplantation [35, 37]. We have previously investigated only implanting microspheres, and thereby excluded the possibility of increased vascularisation triggered by the microspheres that merely reflect a foreign body reaction . In fact, the most prominent visible difference between the two groups of islets in the present study was the amount of blood vessels penetrating from the surrounding connective tissue into the islet tissue. In the non-microsphere-containing islet grafts, the islet tissue was mostly surrounded by vessels and only a small amount of vessels penetrating the endocrine tissue were observed; this is in comparison with the microsphere-containing islets, which had a large amount of vessels penetrating the endocrine tissue. The functional capacity of the newly formed blood vessels was investigated by blood flow and pO2 measurements, which both corresponded well to the higher vascular density seen in the grafts of microsphere-containing islets. We recorded an approximately 50% higher blood flow in the grafts of microsphere-containing islets than in the grafts of non-microsphere-containing islets, and an even more substantial difference in islet pO2. The latter indicated a vascular distribution in the microsphere-containing islet grafts that was highly efficient for oxygen delivery to the islet cells and that almost restored tissue oxygenation to the levels previously recorded in native islets [20, 30]. At present, it remains to be determined whether highly blood perfused islets, despite containing more dying cells, might still regulate blood glucose levels in a better or similar way to those that are less well perfused. In conclusion, the subpopulation of most active islets in the native pancreas was in the present study observed to be more susceptible to cellular death when exposed to cytokines or hypoxia. These islets also had a higher cellular death early after transplantation with resulting extensive fibrosis formation in the grafts. The findings emphasise the importance of developing efficient interventions against cell death early after transplantation, since the most functionally active islets then preferentially die. Surviving islets in this population are shown to become much better engrafted than other islets and will thereby substantially contribute to graft function post transplantation. We gratefully acknowledge the skilled technical assistance of A. Nordin and M. Quach (Department of Medical Cell Biology, Uppsala University, Uppsala, Sweden). Some of the data in this work were presented as an abstract at the International Pancreas and Islet Transplantation Association meeting in 2013. The study was generously supported by the Swedish Research Council (5XX-15043), the Swedish Diabetes Association, the Novo Nordisk Foundation, AFA Insurances, the Olle Engkvist Byggmästare Fund, the Magnus Bergvalls Foundation, the Swedish Juvenile Diabetes Foundation, the Fredrik and Ingrid Thuring Foundation and Diabetes Wellness Sverige. SU, JL and P-OC conceived and designed the study, and contributed to the acquisition, analysis and interpretation of the data. SU and P-OC drafted the manuscript and JL revised it critically for intellectual content. All authors approved the final version of the paper. SU is the guarantor of this work.